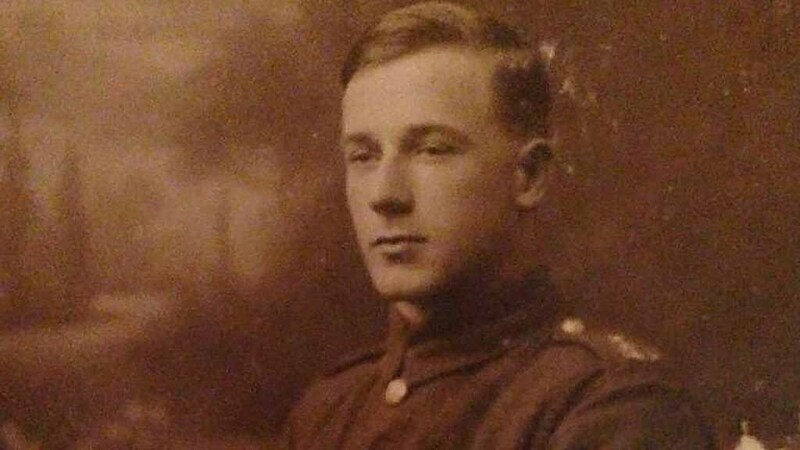 Will Evans, a farmer from Wrexham, North Wales, recalls his journey to the battlefields of France where his great-grandfather fought during the Great War. “I stood in the windswept field where, along with his comrades from the 9th Royal Welsh Fusiliers, my great-grandfather went over the top of the trench and into German fire at the Battle of Loos, on September 25, 1915. It was the culmination of a journey which I began as a child, sitting on my grandmother’s knee, listening to the stories she told me of her father. The man I was named after and who I bear a striking resemblance to, William Morris, was a few weeks shy of his 18th birthday when war was declared on Germany. He enthusiastically rushed to answer Lord Kitchener’s famous call to arms, like so many other young men from all corners of the Empire, filled with patriotism and that Edwardian sense of duty. On his eventual return to Britain four years later, he was a very different man, having been badly wounded at Loos and then again in the vicious hand-to-hand fighting which took place in the village of La Boisselle, at the Battle of the Somme. He witnessed the death of his friends and comrades in horrifying numbers and the war haunted him for the rest of his life. The former battlefields of France and Belgium are eerie places, vividly bearing the scars of the fighting which took place there 100 years ago. Mametz Wood, that great rolling expanse which the 38th Welsh Division so gallantly took in July 1916 at the cost of 4,000 casualties, is one of the most foreboding places I’ve ever been to. There’s no birdsong – only a silent, ghostly atmosphere and a striking red dragon memorial, strewn with poppy wreaths from all corners of Wales, proudly facing it. Everywhere you look you see cemeteries, particularly on the Somme, and nothing can prepare you for the sheer number of them. Some are huge and often visited, but many are small and well off the beaten track; outposts of the commonwealth now only visited by enthusiasts and people like me, on pilgrimages to find lost family members. I have six Great Uncles out there, from various strands of my family, and visiting one at their final resting place was one the most moving experiences of my life. I’ll go back as soon as I can but on Remembrance Sunday this year, I’ll be at the village church in Wales where my great-grandfather is buried. I’ll put a poppy on his grave and a wreath on the memorial where so many of his comrades who didn’t come home are named and think about them and the family members they left behind.